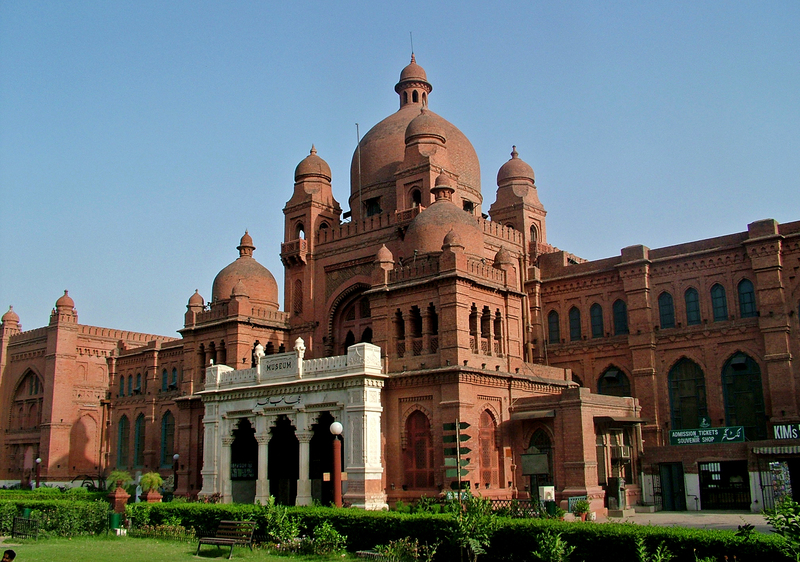 The Lahore Museum, was initially settled in 1865-66 on the site of the corridor or working of the 1864 Punjab. Exhibition and later moved to its present site situated on The Mall, Lahore, Punjab, Pakistan in 1894.The Lahore Museum contains some fine examples of Mughal and Sikh entryways and woodwork and has a vast accumulation of canvases going back to the Mughal, Sikh and British periods. It incorporates a gathering of musical instruments, old adornments, materials, stoneware, and arsenal.